This is an audio book which I designed the whole package for Avanameh Co. in association with Cheshmeh publication. This audio book which is a classic persian novel named The bread season is written by AliAshraf Darvishian a great Iranian author. The novel is kind of a tragedy happening in a working boy’s life which is all about bitter life he and his family got, living in Kermanshah Iran. 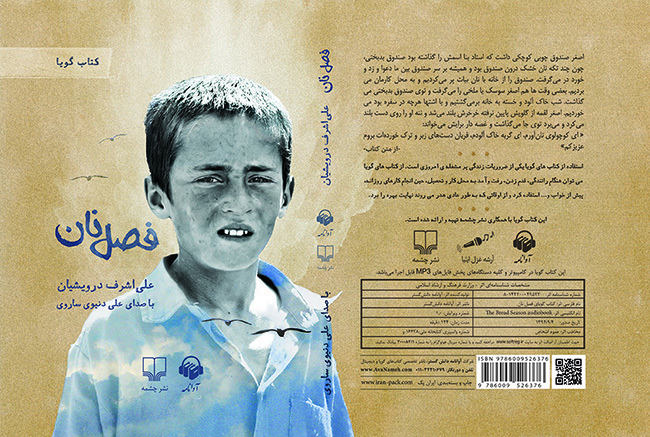 To design this cover I’ve used a photo of a working boy in Afghanistan.